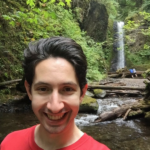 Adam is a Salesforce Developer and Salesforce MVP who has benefitted tremendously from the community and is now looking to pay it back any way that he can! He loves teaching people the joys and benefits of learning to code and is always looking to take the next step in his career and help others do the same. Fun fact: when he graduated high school, he wanted to be a lawyer.